Nigeria’s Abubakar Shekau, leader of the notorous terrorist group called Boko Haram, is no doubt one of the most dreadful persons on earth today is. Shekau is notorious for his leadership of the deadly group responsible for the deaths of tens of thousands of people in Nigeria, Cameroon, Chad and Niger. The Nigerian military has repeatedly claimed to have killed Shekau, but there have never been proofs to back this claim. The United States government also has interest in his case and has placed a bounty on him. But despite being one of the most feared and hated persons, Shekau still has someone who loves him dearly and would want him to become a better person in life and to the society. This person is his mother, Falmata Abubakar. 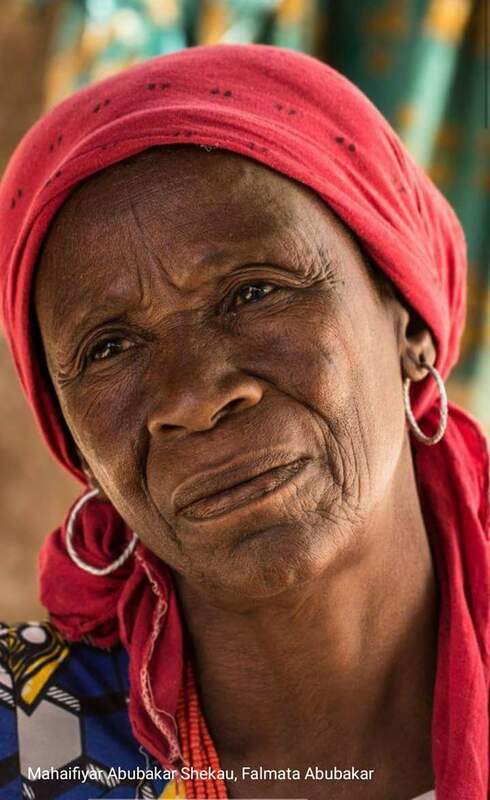 In a rare interview, the woman told the Hausa Service of the Voice of America (VOA) in Shekau village in Yobe State how her son joined the Boko Haram group in Maiduguri, Borno State. Shekau’s mother said he left the village for Maiduguri, capital of Borno State, as a young boy, in search of Islamic knowledge and that he was an “almajiri boy” who walked around the streets of Maiduguri, looking for food. Falmata explained that it was in the course of seeking Islamic knowledge and food that her son came into contact with the founder of Boko Haram, Mohammed Yusuf, who indoctrinated him. “I did not set my eyes on him since he came into contact with Mohammed Yusuf. “I know he is my son and everyone knows a mother’s love for her son, but our attitude to life is different. “He has put so many people in serious difficulty; I pray that God guides him right,” the worried and sad woman said. However, Madam Falmata said she will not curse her son but admitted that he has become someone who she doesn’t recognise anymore. “He just took his own character and went away. This is not the character I gave him. I don’t know what this type of behaviour is. It’s only God who knows. He has chosen a path different from the one we put him on. Only God knows what he has become now,” she reiterated. It was gathered that Shekau’s late father was the Imam of the village mosque before his death. Speaking further, Shekau’s mother said she has no idea where her son was or his situation. “I don’t know whether he is dead or alive; only God knows. I have not seen him in the last 15 years,” she told VOA. Also, residents of the village said they always hid the identity of their village for fear of being associated with the Boko Haram leader.